Performance Studies has long since drawn on philosophy as one set of discourses and concepts amongst others, that might be put to work in the analysis of the performing arts or of other social practices approached as performance. But what is involved in this ‘putting to work’? Is it merely a question of applying philosophy to examples of performance, or might there be a new way to conceive of the relation between philosophy and performance – where performance is understood to raise philosophical questions of its own kind? Is performance a kind of thinking in itself? Is performance a challenge to thought? And what does it mean to participate in (the thought of) performance? There are precedents for such ideas in Film Studies, in which authors such as Daniel Frampton and John Mullarkey have argued that film does indeed think, but that there is still work to be done to articulate the nature of this specifically filmic thought. Equally, participation is a focus of interest in contemporary discourses on aesthetics (relational and dialogical aesthetics) as well as being a mantra in public art policy. 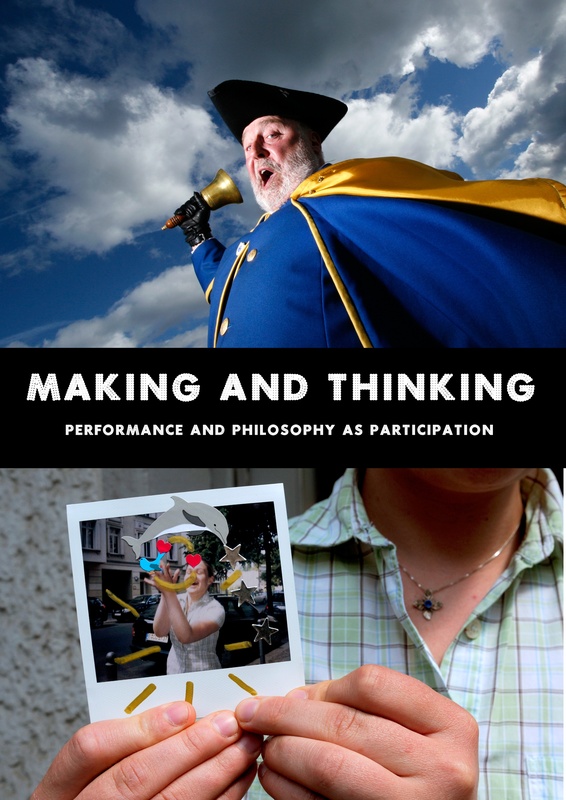 However, the notion of participation is often left vague and undefined, and there is also a tendency to assume that theatre and performance are somehow ontologically equipped to allow participation to take place. In light of this we might want to ask: what is participation? How is it thought and produced in theatre and performance? To question the relationship between performance and philosophy is not simply about demonstrating how a performance might illustrate existing philosophical discourse (eg. this is ‘a Derridean performance’, whereas that is a ‘Deleuzian performance’). Rather, it involves an interrogation of the modes of thinking that performance itself engenders, and as such, how performance and our participation in/with it might impact upon how we define ‘thought’. This symposium brings together an exceptional line-up of international speakers – including philosophers, as well as practitioners and scholars of performance – to debate these important issues.